If you find yourself looking for spare capacity in your clothes to add a little comfort around the middle — I'm not saying you've put on weight — there are a few off-the-peg options in this hyper-fitted world we're currently living in. The 'sack' style of jacket without darts or suppression at the waist, popularised in the US (and by a mod take on Ivy League) — and once considered rather casual — lives on albeit in smaller circulation and shorter incarnations. 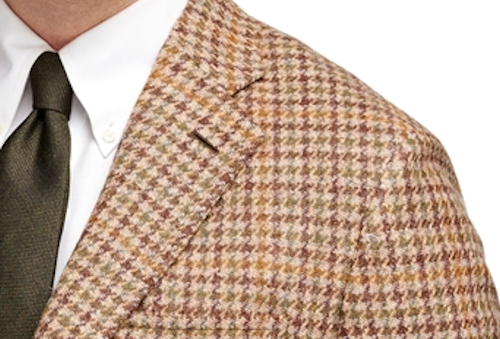 The vogue for short jackets can result in jackets ranging from something akin to the (acceptable) length of an Edwardian boating blazer to the (ludicrous) length of a Neapolitan waiter's jacket. 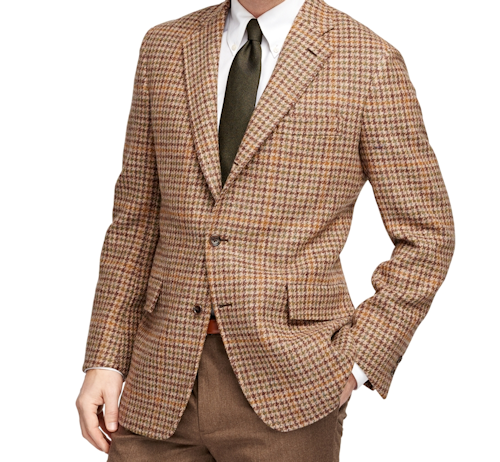 The Brooks Brothers sack jackets you see here appear to come in around the mod-length or boating blazer level. If I dare say, jackets that drop down at the sides can actually take this shorter length better than fitted jackets. The jackets are from Brooks' Own Make range, made in their own US factory based on archives of the designs and fabrics the company used in the 1960s. Classic mods will enjoy the 60s provenance; and the shape is made for manoeuvring on a scooter. 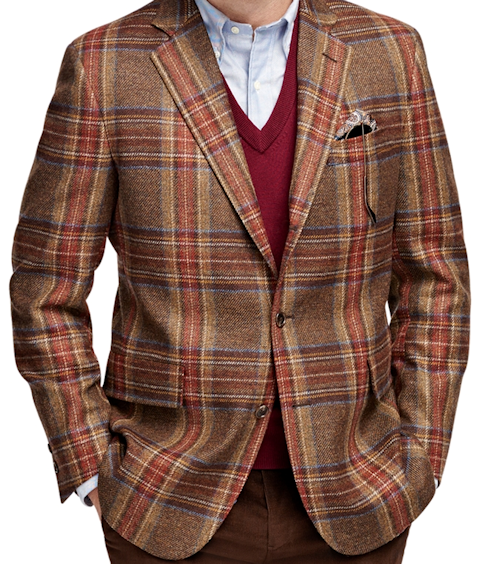 The jackets are made from our kind of cloth: you see a Scottish worsted wool in the plaid at the top; and the houndstooth cloth is Harris tweed. Both are half-lined and will mould to the body nicely over time. As well as the shape, the jackets have classic sack credentials: 3/2 buttons, soft shoulders, Ivy-esque hooked centre vent. 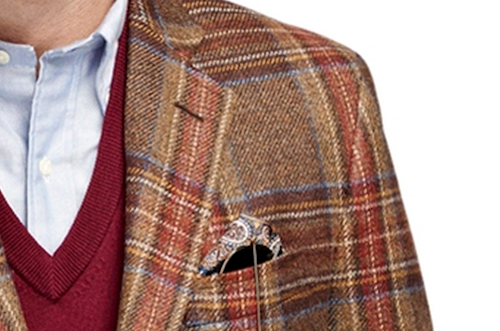 Ralph Lauren Tweed Run Too Much?